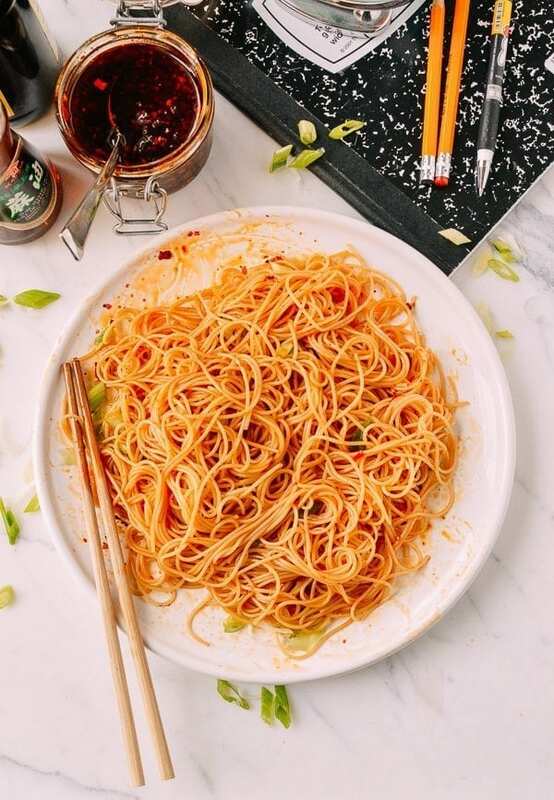 15 Minute After-School Special Noodles is a recipe that has been our constant companion over the years. When I was eleven years old, my parents finally (“finally?”) deemed me and my sister old enough to stay home alone from when school let out at 2:45 to when they came home from work at 6:30. Before that, it was after school programs, and even a short stint with a Chinese nanny who would pick us up from school with her hair in hot rollers and a shower cap over her head (not great for a 3rd grader’s street cred). Being able to walk the short 10 minutes from school to home, having our own set of house keys, and spending our allowance money on a Bomb Pop or Chipwich at the ice cream truck down the street––it was pure freedom. But the best part of our afternoon routine was always the hour between 3:00 and 4:00 PM. This was when we would turn on the TV, enjoy some quality programming on Nickelodeon or PBS, and whip up our after-school snack (It wasn’t exactly milk and cookies. It was really more of a meal, but yeah, let’s call it a snack). 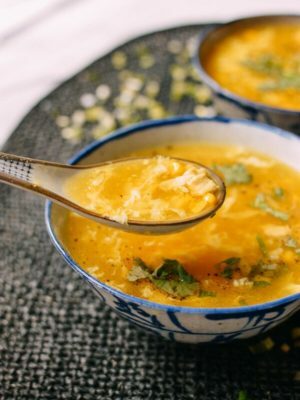 We were cooking in the kitchen early as kids, and our mother had instilled in us a respect for kitchen safety (“Don’t EVER walk away from the stove while it’s on.”) that allowed us to whip up simple dishes for ourselves. And of all our options, the dish that we now call, “The After-School Special” was our favorite. You could be on the couch with a big bowl of noodles in 15 minutes flat. 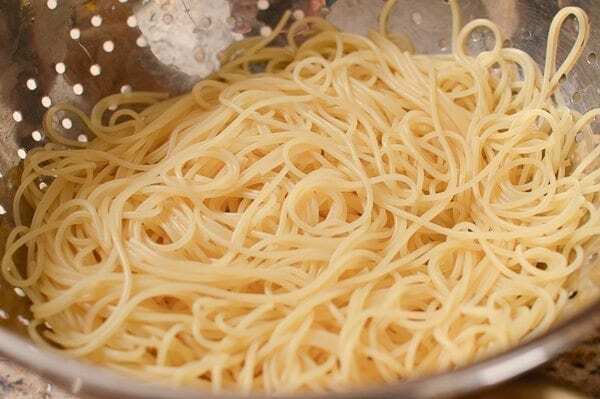 The After School Special noodles recipe below isn’t exactly a recipe. It’s more a set of guidelines. You won’t see any exact quantities, and that’s on purpose. 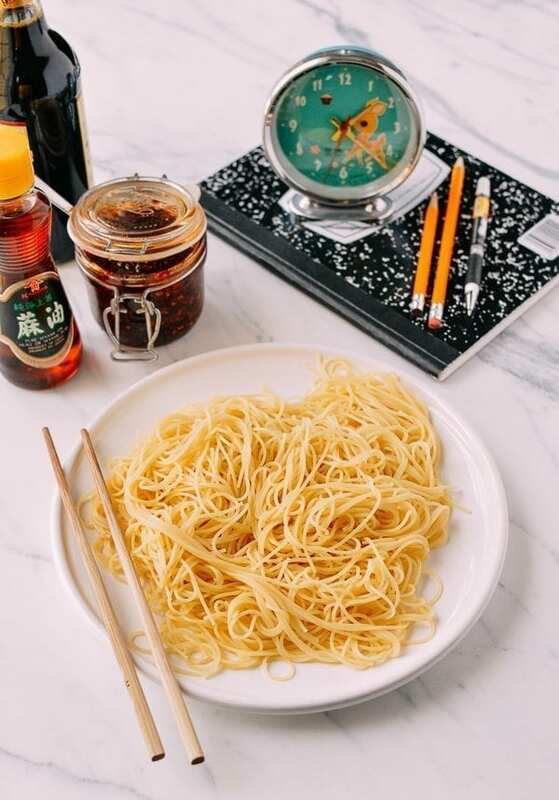 At it’s core, the After-School Special is made up of just three components: noodles or pasta, soy sauce, and sesame oil. It was my mother’s invention. 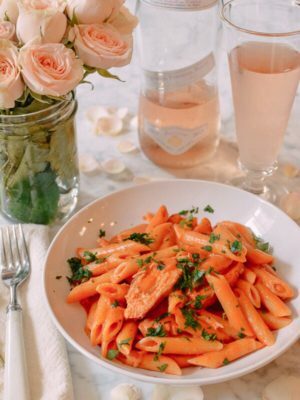 The Chinese mom’s version of your run-of-the-mill pasta with butter and cheese, if you will. 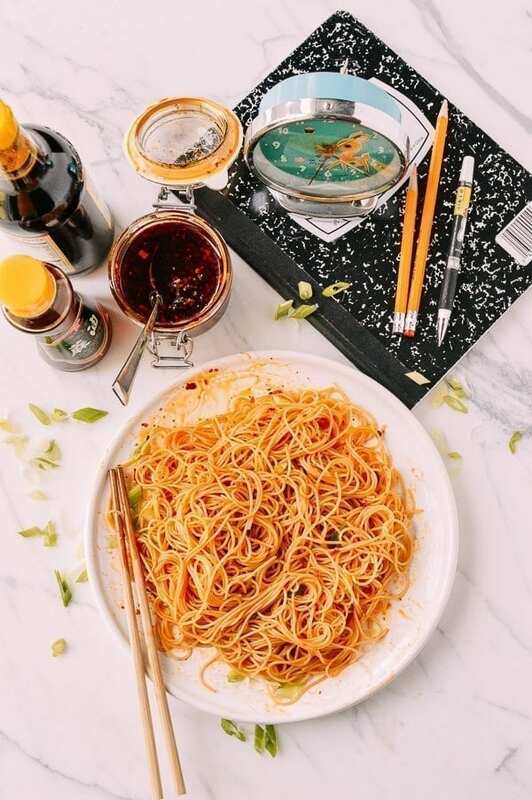 We always had those ingredients in the pantry––boxes of pasta were abundant, and a home without soy sauce and sesame oil in the cabinet next to the stove wasn’t a home at all. 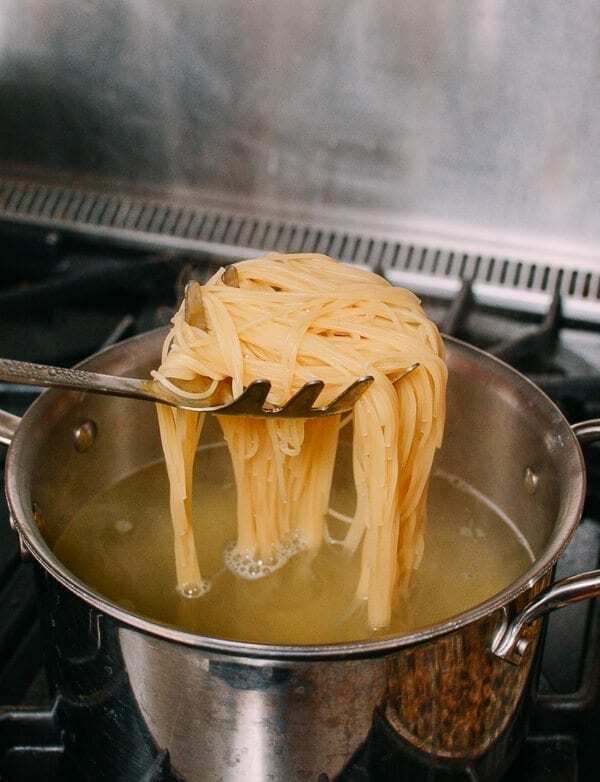 The general idea is: make however much pasta you want, and season it to suit your own personal taste. As we got older, we started adding additional elements. 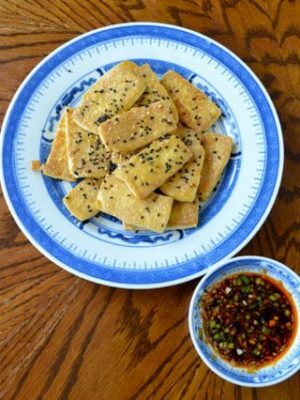 We would add a dollop of chili sauce here, a sprinkling of white pepper there. If we were feeling extra fancy, we would chop up a scallion and put it on top. 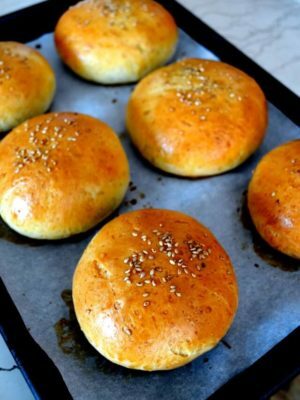 Toss with soy sauce and sesame oil to taste. If using, mix in white pepper, chili oil, and scallions to taste. Make sure to add condiments in small quantities as you’re mixing the noodles together––especially the soy sauce. It can get salty very quickly. Add the sauces a teaspoon at a time, try the noodles, and add a little more if needed. 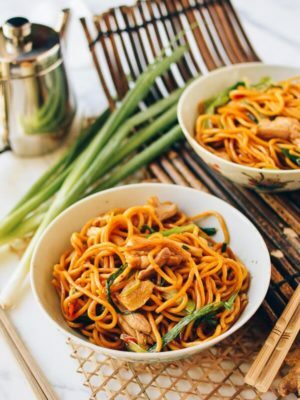 Enjoy these After-School special noodles any time of the day! 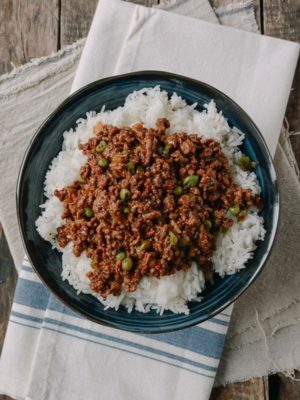 We used Kaitlin’s Chiu Chow Chili Oil for the version photographed in this post, but with such a wide variety of chili oil/chili sauce options out there, you can really make this element your own. Check out our Chinese Sauces, Vinegars & Oils page for more info! 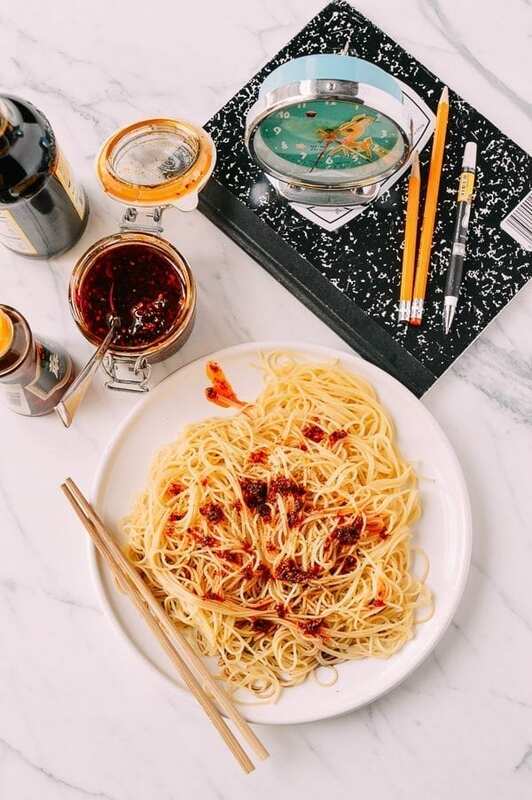 After-School Special pasta is made up of just three components: pasta, soy sauce, and sesame oil. 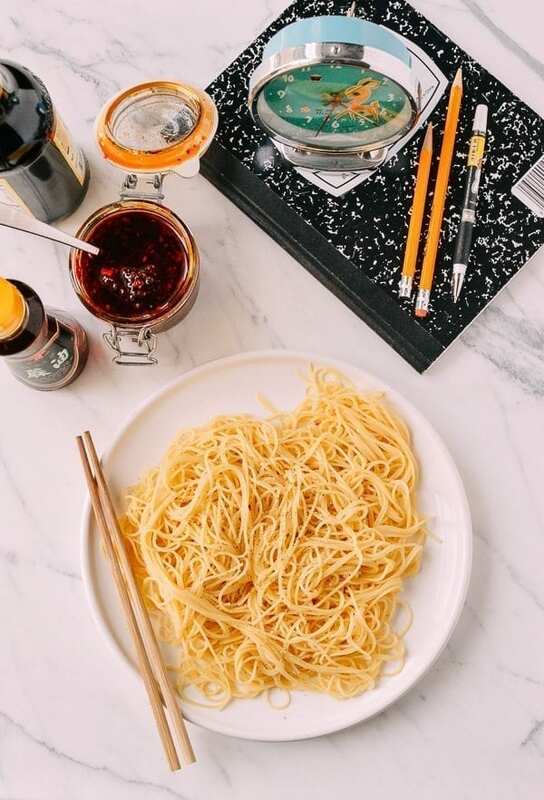 It's an easy to make pasta with soy sauce and sesame oil all from the pantry! 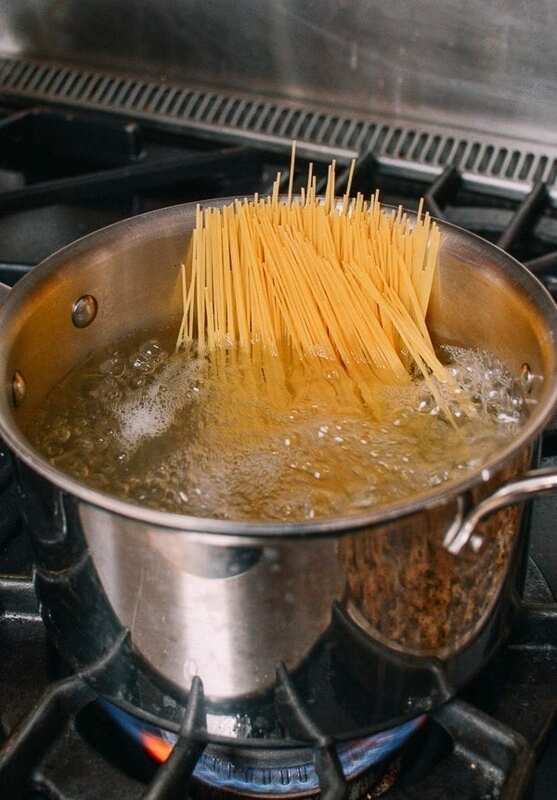 Cook the pasta according to package directions. Drain. 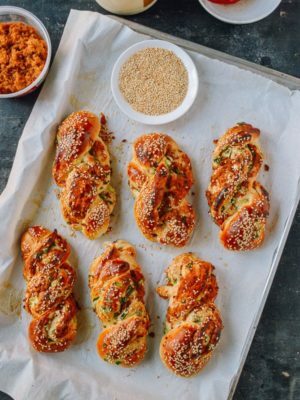 Toss with soy sauce and sesame oil to taste. If using, mix in white pepper, chili oil, and scallions to taste. 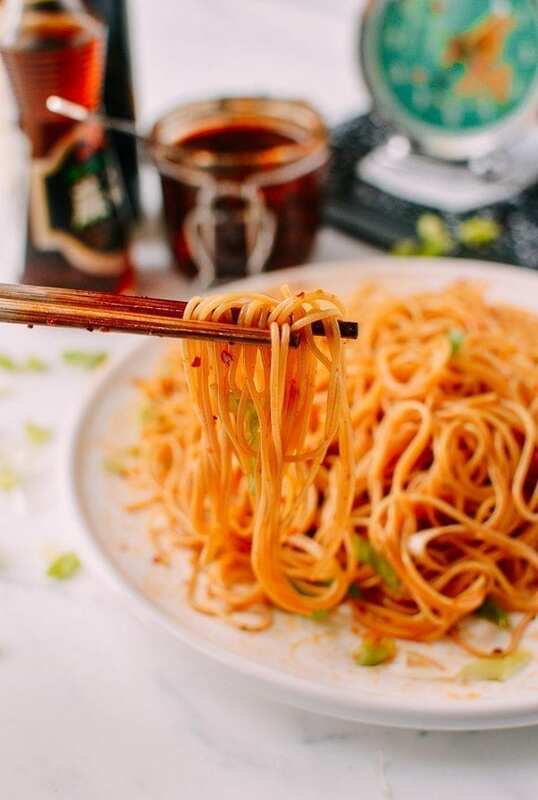 Make sure to add condiments in small quantities as you’re mixing the noodles together, especially the soy sauce––it can get salty very quickly. Add the soy sauce a teaspoon at a time. Made this for supper tonight as a side dish, extra spicy. 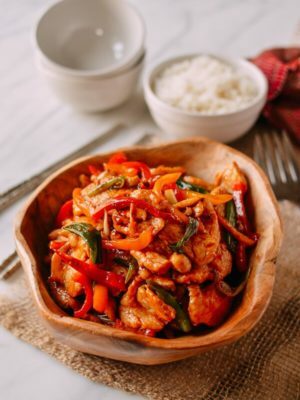 Had it with your Mongolian Chicken recipe and it was a match made in heaven for us. The sweet balanced with the spicy. Yum! Thank you for all the wonderful recipes. Huge fan of everything. Always checking in for new posts every couple of days. Love that, Noy! Have you signed up for our email list? We always send out an email when a new post comes out. I’d totally forgotten I used to do the same when I was in school. hahaha. I feel you, Julia. My mom made this, but she used oyster sauce, soy sauce, and sesame seed oil. 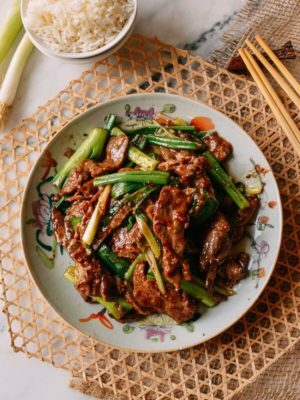 Over the years, she played with it – added some stir fried beef and bok choi to make it more substantial. There are many ways to enjoy this! Thanks for the recipes. They have been great references for the dishes that I remember my mom cooking up. Have you ever had what I call “grapes?” My mom made them using brown sugar and the rice flour. It might have been the glutinous rice flour. She (and I) rolled them into bite size balls and then she steamed them. 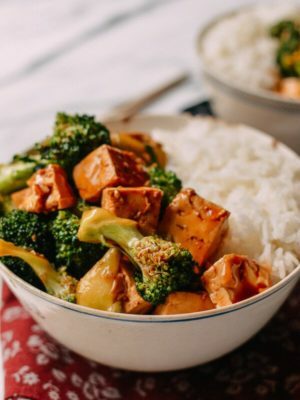 My family had the same “afternoon special”–the only difference is we used oyster sauce instead of soy. 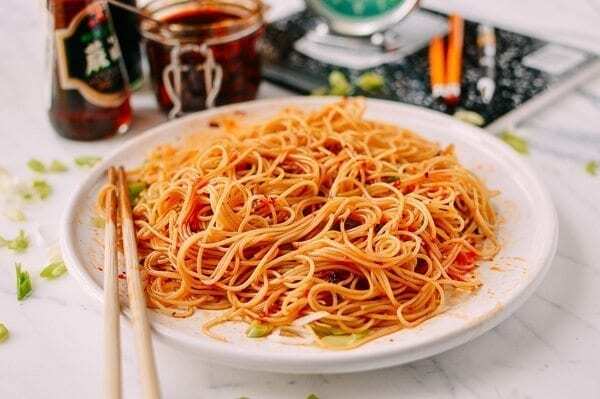 We called it “Chinese spaghetti” and we still eat it to this day and serve it up to our little ones! I must try this oyster sauce, move, Julie! I recall doing this! 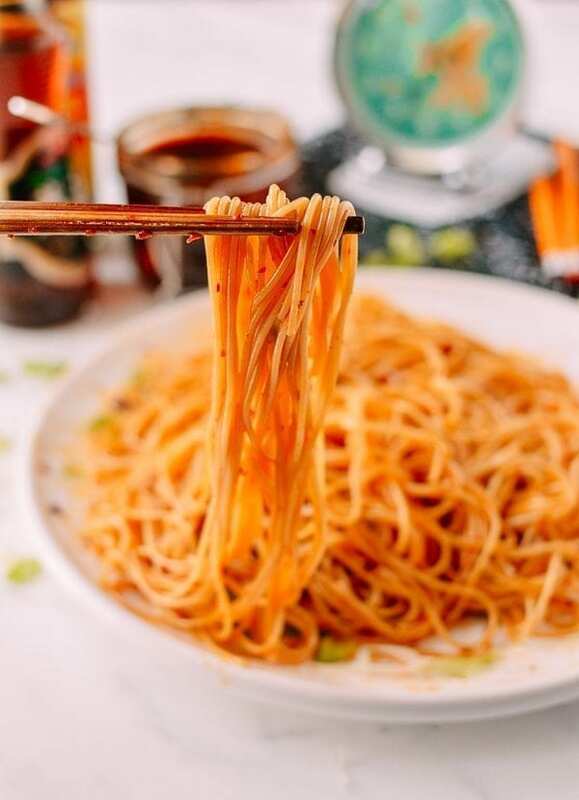 Parents left me home alone (only child too) at eight years old, 老干妈 was my best friend when making mixed noodles, 鸡精 and soy sauce for soupy noodles. 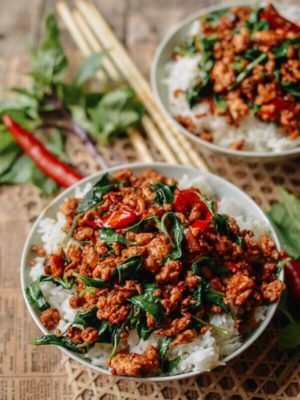 Just made this – so yummy! 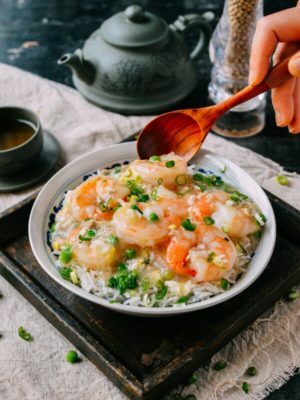 Between this recipe and your “ants climbing a tree,” you’ve monopolized my noodle cravings for months! Thank you.